How Far is Hallmark Glenridge? Glenridge is made up of One Roof, but there are Many Wonderful Experiences. The place will be like a bundle of assorted experiences, with just a few people to bond with, around you. 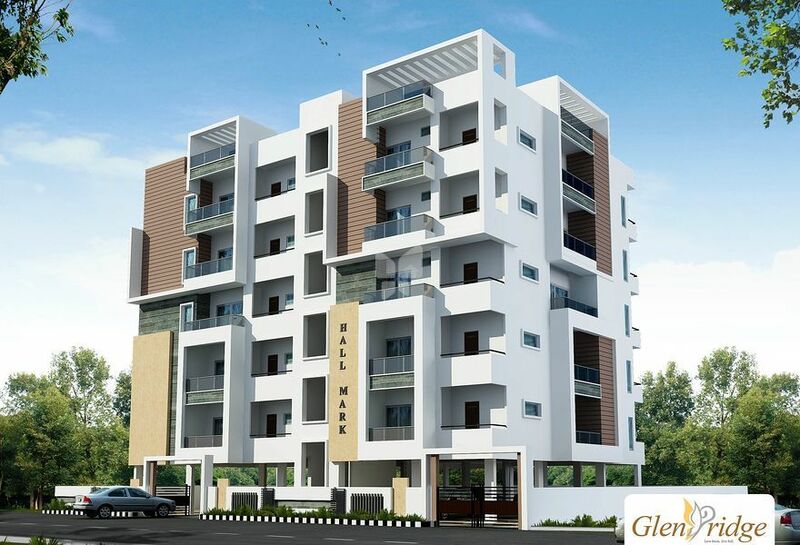 Gladly, Hallmark Glen Ridge is designed to provide you with maximum space and ventilation. Float glass UPVC window system with safety M.S. grill. Provision for Exhaust Fan, Chimney, washing machine & wet area for washing utensils etc. External: Combination of textured/smooth Luppam finish for all external walls. Granite platform with stainless steel sink with both municipal and bore water connection and provision for fixing of Aqua-guard. TELECOM : Telephone pointsin living & M.Bedroom. CABLE T.V. : Provision for all Bedrooms & Living room. 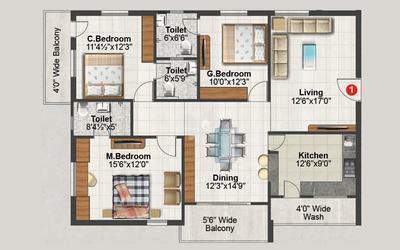 INTERNET : Provision for Master Bedroom& Living room. All internal & external waterline of PPR / CPVC. All drainage Fittings and lines are of P.V.C. Ashirvad or equivalent make. Water Proofing For all toilets, Wash area and entire terrace. Wash basin in all toilets and dining / balcony area. Wall mounted W.C for Master Bedroom. Cascade W.C with flush tank for C.B & G.B Hot and cold wall mixer with shower. Provision for geysers in all bathrooms. All Toilets with anti-skid tile flooring and wall cladding with glazed tiles up to door height. C.P. Fittings are chrome plated of jaquar make or equivalent. Main Door: Teak wood frame and shutter aesthetically designed with melamine polishing and designer hardware of reputed make. Hallmark Builders was incepted in the year 2008 and since then it has been setting benchmarks in the real estate industry in terms of unprecedented quality, design, innovation, and trust. The group believes in Quality Management as an integrative philosophy of management for continuously improving the quality of products to be used in the construction and processes, by which their customers are always served with top-notch products and services. Their projects are comprised of Hallmark Primera which offers you ready to occupy 2BHK & 3BHK apartments in Manikonda, as well as Hallmark Silvanus also in Manikonda, which offers you ready to occupy 2BHK & 3BK apartments. 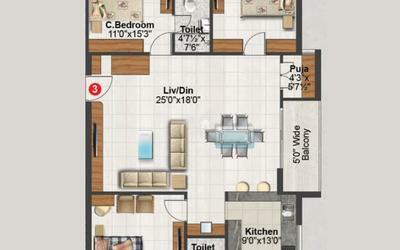 Also, a thoughtfully designed project Hallmark Vicinia in Narsingi offers you 2BHK & 3BHK apartments for sale. Also, the group strives to provides homes with the population's ability to afford to purchase a particular item, such as a house. Some households may choose to spend more on housing because they feel they can afford to, while others may not have a choice. Hence their goal is to provide you with what you desire with the utmost pleasure. The group is known for their innovative approach and creative modeling of each project which gains its ground from the exceptions of our clients. Our vision is to be known as the building leader that advocates for the foundation of a happier, healthier community. By 2028, 120,000 families each week will pray, live, learn, heal, or play in venues we’ve built.